Transform the appearance of your kitchen or vanity with beautifully crafted wood cabinets. 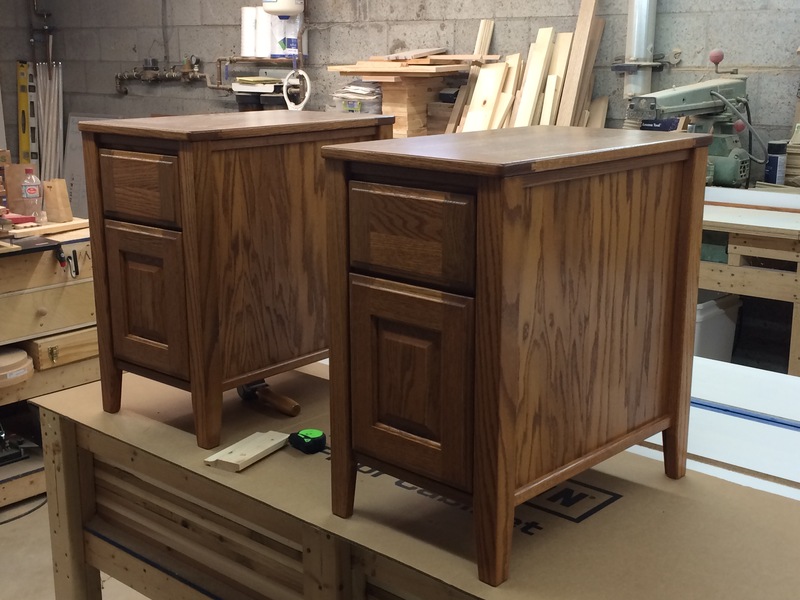 We offer handcrafted cabinets that are made in-shop. We do not have any premade factory parts either. From the raw materials to the finished product, everything is made in-house. 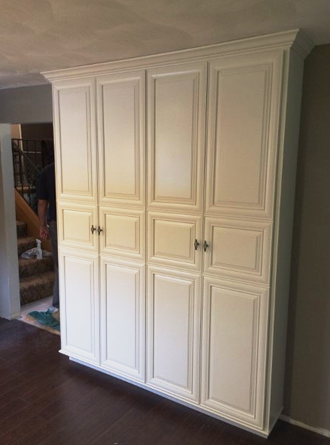 All of our cabinets are custom made to your order. You can be sure you get the best cabinetry designs from us. All quotes are free of charge. You can call or email us any time during normal business hours to get the process rolling. Any quotes or possible drawing will be delivered or presented in person. We go over the job, make any changes, and answer any questions you may have. It’s just that easy.